The weekly Haynesville Shale rig count dropped again this week, losing two to end up at 129 working rigs. Louisiana (97) and Texas (32) both lost one rig apiece. 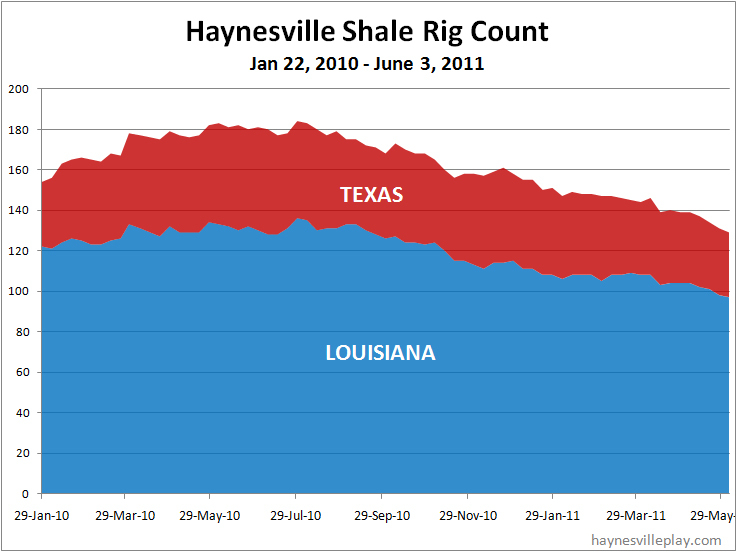 Unfortunately, Baker Hughes, the source of my rig count data, has been providing pretty stale numbers since mid-April. 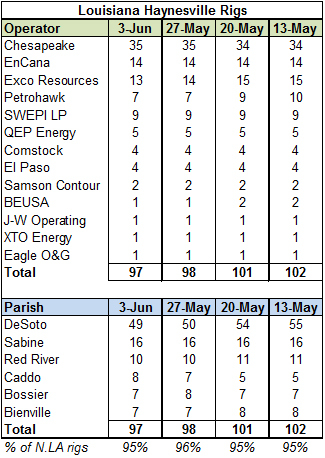 On the spreadsheet, you will see lots of spud dates from the first quarter and even a few from late 2010. 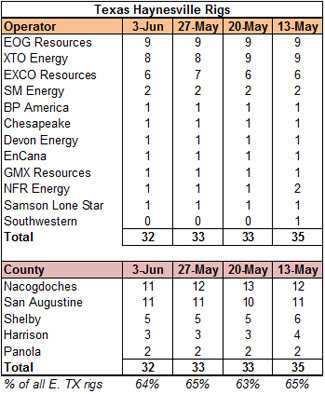 One well that BHI still counts as drilling was reported as complete earlier this week. Unfortunately I am at the mercy of my data source. Next week I hope to see a flood of new data.